Our enterprise mission: From success to excellent, to be the professional worldwide OCTG supplier. Tubing: Used for extracting oil and gas from reservoirs, tubing is in accordance with API 5CT. Dimension: 1.9”--4 1/2”. 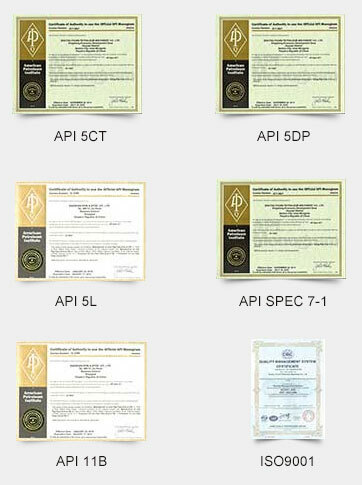 Steel Grade: J55, K55, N80, L80, C90, T95, P110. Connection: Plain, NUE, EUE. Casing: Used for oil and gas well drilling, casing is in accordance with API 5CT. Dimension: 4 1/2”—20”.Steel Grade: J55, K55, N80, L80, C90, T95, P110, Q125. Connection: BTC, STC,LTC,TPCQ, Exchange Premium thread (Vam & vam top, Hunting). Drill Pipe & Heavy Weight Drill Pipe: According to API 5D. Heavy Weight Drill Pipe: Dimension 3 1/2”—6 5/8”. Upset: EU,IEU. Connected Type: NC,FH,REG. Drill Collar: According to API 7-1. Dimension: 3 1/8”—11”. Steel Grade: AISI 4145H. Connected Type: IF, REG, NC. Sucker Rod: According to API 5D. Dimension: 5/8”—1 3/4”. Steel Grade: C, K, D, KD, HL, HY. Pipe line: Used to transport oil &gas, are in accordance with API 5L. Seamless Pipe: Dimension:1/2”—24”.Process: cold drawn, hot Rolling, hot Expanding. Steel Grade:B, X42, X52, X60, X65, X70. SSAW: Dimension: 5”—48”.Process: SSAW. Steel Grade: B, X42, X52, X60, X65, X70, X80. Welding Pipe: Dimension:2”—30”. Process: ERW, SAWL, HFW, JCOE. Steel Grade: B, X42, X52, X60, X65, X70, X80. We own a production factory of over 50,000sq.m, which includes production mills of 30,000sq.m and warehouses of 10,000sq.m.. Different workshops are suitable for different products. 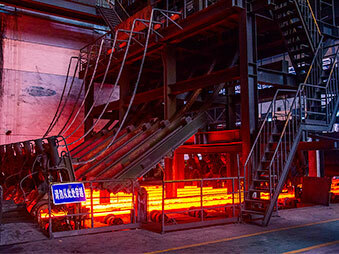 We own more than 500 staff and professional technician teams, who not only have a deep insight of technology condition in Chinese main steel mills, but also have several decades’ working experience in steel industry. 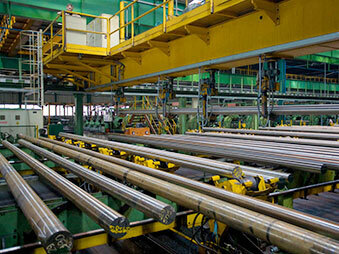 Our tubing annual production capacity reaches up to 25000 Ton and casing reaches to 100,000 Ton. According to the standard requirement, 50,000,000 Ft sucker rods can be produced per year. In addition, the yield of drill pipe and drill collar separately reaches to 30,000 Ton and 10,000 Pcs every year. For the seamless line pipes, the output is 200,000 Ton per year; while for welding line pipes, it can reach up to 300,000 Ton. TPCO and Baosteel are two biggest mills we cooperate with. They have tubing, casing ,coupling oil processing units imported from the United States. 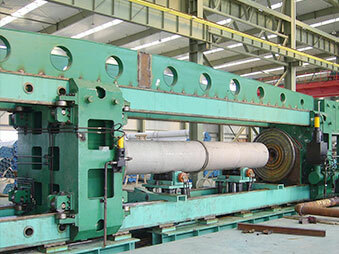 As well as seamless tube production line and the best pipe welding equipment. 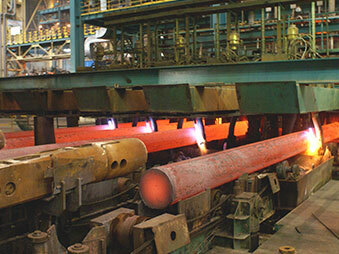 With International advanced technology on oil casing and coupling processing/ pipe lines production, their annual production capacity of oil casing is 100,000 tons, coupling 220,000 No’s, and line pipes 500,000 tons per year. 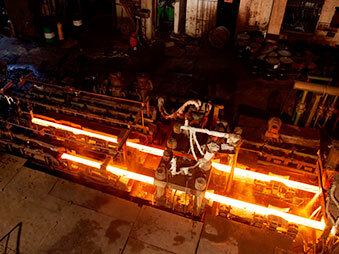 Our mills have 800 tons of automatic intelligent flat forging machine and smart friction welding machine, 1,000 tons of hydraulic straightening machines, 800 tons of hydraulic upsetting unit and the most advanced heat treatment production line for all our products. We have more than 10,000 tons of pipes in our warehouse, especially for normal specs of line pipes, casing, tubing, and drill pipes. They are always in stock to meet clients’ need, as well as their special request. The warehouses where we stock our goods are full-fledged. We can deliver the anti-corrosive pipes within 15 days for the process of corrosion resistance takes the time. 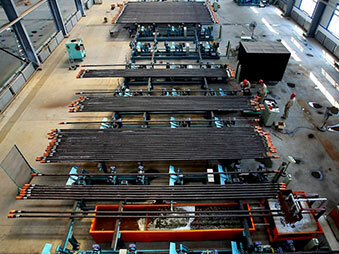 A large number of common specs steel plates are always ready to be produced into welding pipes according to our client’s request.